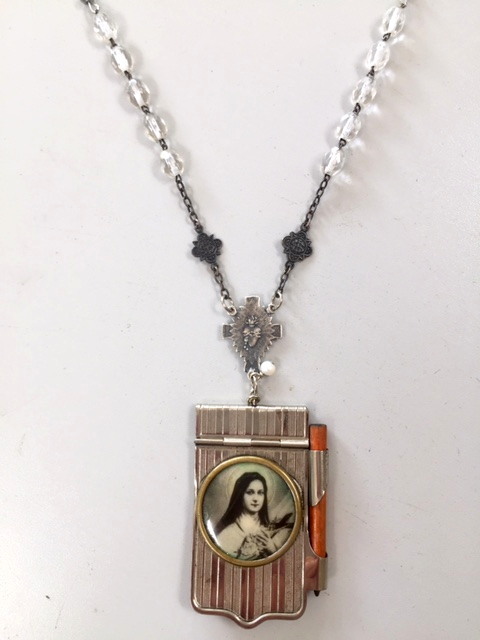 A one of a kind artisan designed piece; antique French Clear Beads finished with silver crystals coupled with an antique C1890 Art Nouveau Carnet de Bal or Aide Memoire featuring Saint Teresa from France. The colored print is mesmerizing. The book still retains paper and Pencil, a rare feat indeed. 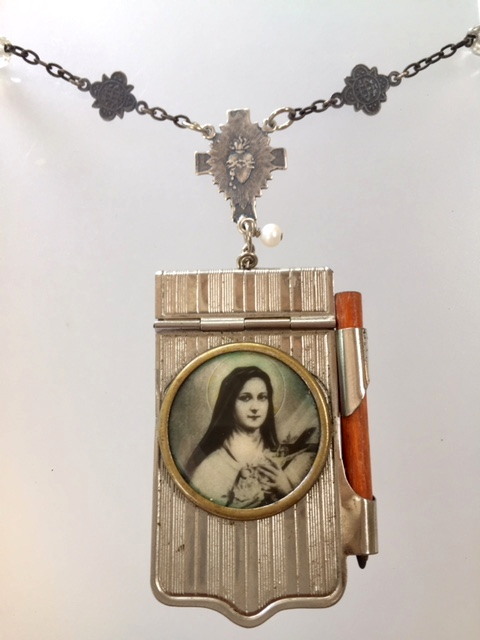 I added a Silver 3 Way with the Sacred heart of Jesus above the book. The Single pearl represents Purity. This is an Amazing piece and will be a treasure to own if you value rarity, beauty and exclusivity in your collections! Beads measures 30"; book is 2.25" tall by 1.5" wide.